Volvo's only. Some models slightly higher. Plus shop supplies, tax, & hazardous disposal fees (if applicable). Price may change without notice. Not to be combined with any other discounts. Present coupons at the time of write-up. Expiration date 6/17/2019. The reputation of Volvo cars for quality and reliability is unsurpassed, and we want you to know that we're here to help you get the most from your Volvo. 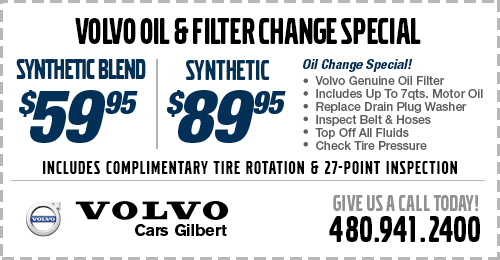 In our service center at Volvo Cars Gilbert, you'll find some of the best technicians in the business who have been extensively trained by the factory to know and understand every inch of your Volvo. 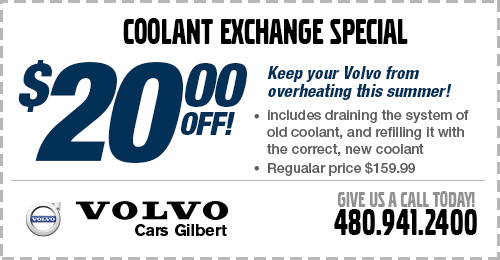 To ensure that you enjoy the most for your money when keeping your Volvo well maintained and serviced, we often update these special service offers. Not only will you be getting expert skill when keeping up with the needs of your Volvo, we only use genuine OEM and factory-approved parts. This way, you can continue your journey with the confidence that comes with knowing your ride is running with the very best products. 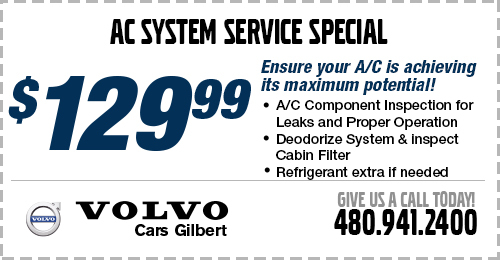 Take a look at these updated special offers on Volvo service, and give us a call if you have any questions. Your Volvo isn't like other vehicles where random third-party parts and generic mechanics will do. This is a level of quality and dedicated engineering that deserves nothing less than the best. 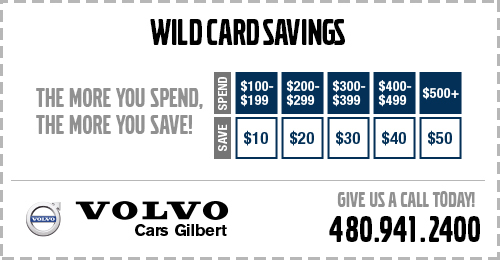 Fortunately, that's what we're here for at Volvo Cars Gilbert. It's easy to schedule your next Volvo service appointment online. 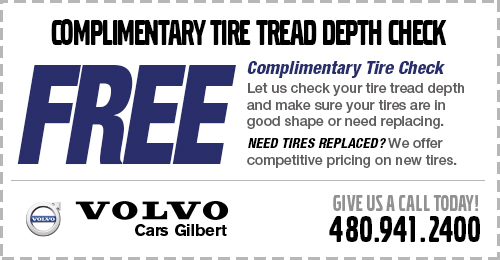 When you take advantage of frequently updated special offers like these, you'll also enjoy the Service By Volvo that includes a warranty on parts and labor along with a host of other perks, including a car wash. We're conveniently located at 3285 S. Gilbert Rd, Gilbert, AZ 85297, where we can typically take care of basic Volvo maintenance like oil changes easily while you wait. 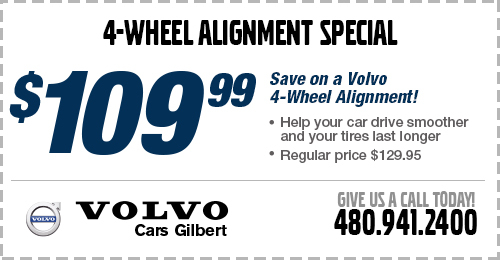 We look forward to showing you just how wonderful a dealership experience can be at Volvo Cars Gilbert.